Harleys Galen is a gorgeous14.2-hand, 10-year-old purebred arabian gelding with unique Crabbet and Spanish Arabian bloodlines. Bred and raised here at Harley Farm, he is extremely athletic, has very expressive movement, and is a brave and enthusiastic jumper. He is the grey horse cruising up the hill on our site's banner photo, followed by his half brother Orion. Galen is nicely balanced and has wonderful gaits. Trained with Natural Horsemanship techniques, he is highly responsive to his rider, enjoys going out on the trail alone or with others, is an enthusiastic jumper, and has a great work ethic. He has been trailered off the farm several times and is always open to new experiences. 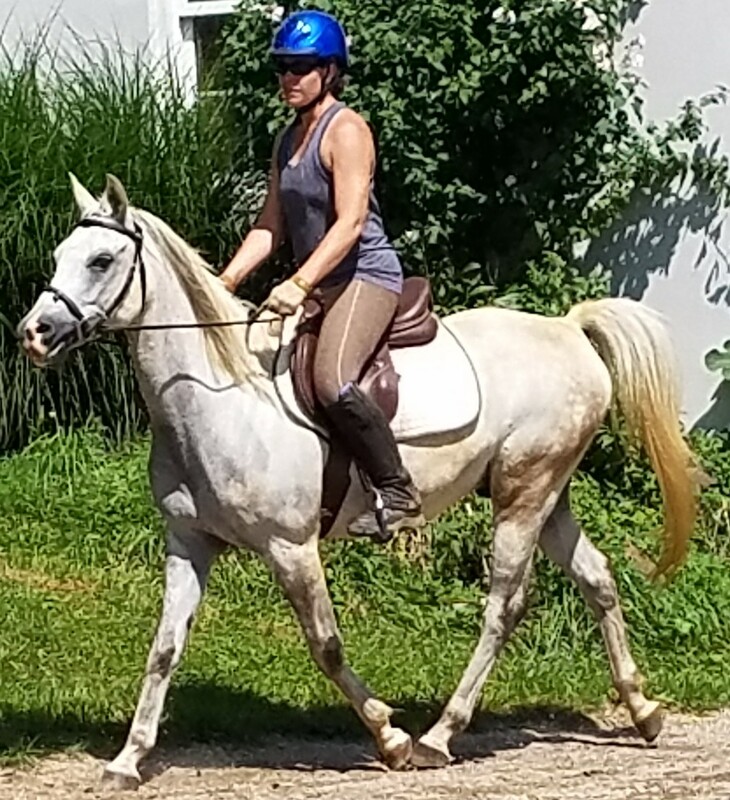 Galen has excellent ground manners; has always been barefoot; is up to date on his vaccinations, trims, and floats; loads easily; and stands nicely for mounting, the farrier, and the vet. This talented, well-trained gelding would excel in virtually any sporthorse discipline. Galen is priced at $7,000.